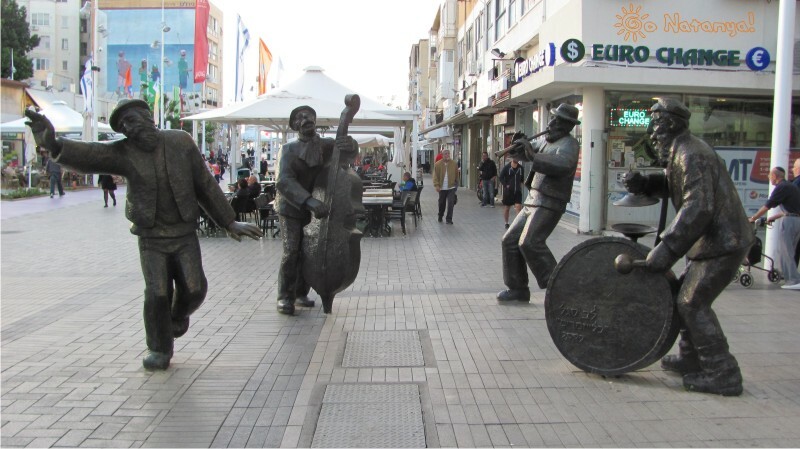 Hertsel (Herzel) Street in Netanya is the most famous street in the city. 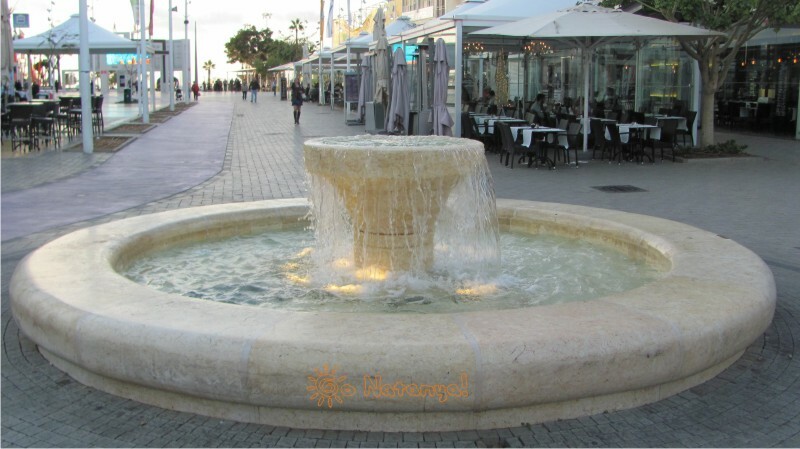 It is situated in the tourist center of Netanya, and it’s one of the most beautiful streets here. Hertsel street starts near the Mediterranean Sea and ends on the other side of Netanya. It does not mean, that this street is very long. It means, that Netanya is not a wide city, it’s long, and it stretches along the sea. 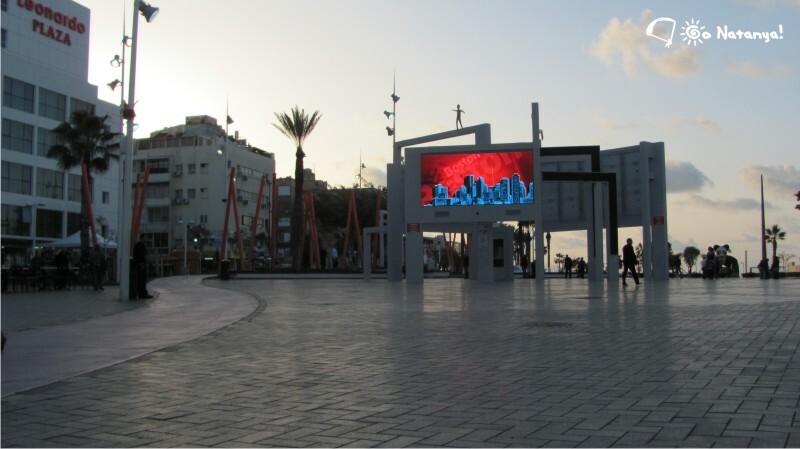 If once you decide to walk over Hertsel street, you will walk through the whole Netanya in 40 minutes! The most interesting part of Hertsel street is at the beginning. 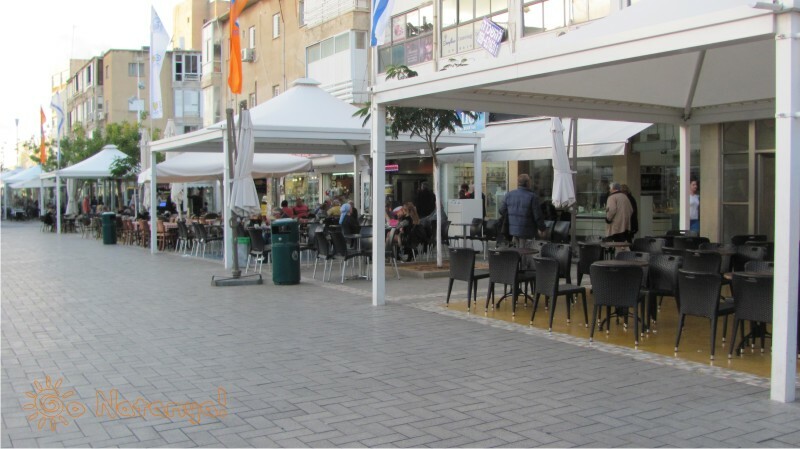 A small part of Herstel street, between Independence Square (Kikar haAtzmaut) and Dizengoff street, is very-very beautiful, and tourists like this part of the street very much. Why? In this article, we will try to explain it. Firstly, this part of Hertsel street is for promenades only. There is no road for cars, or bikes (motorcycles). People can walk there or skate, or ride the bicycle. By the way, people in Israel like to walk over the bike path. Why they do it, we don’t know. May be they like its violet cover. However, if you skate or ride on Hertsel street, be careful. 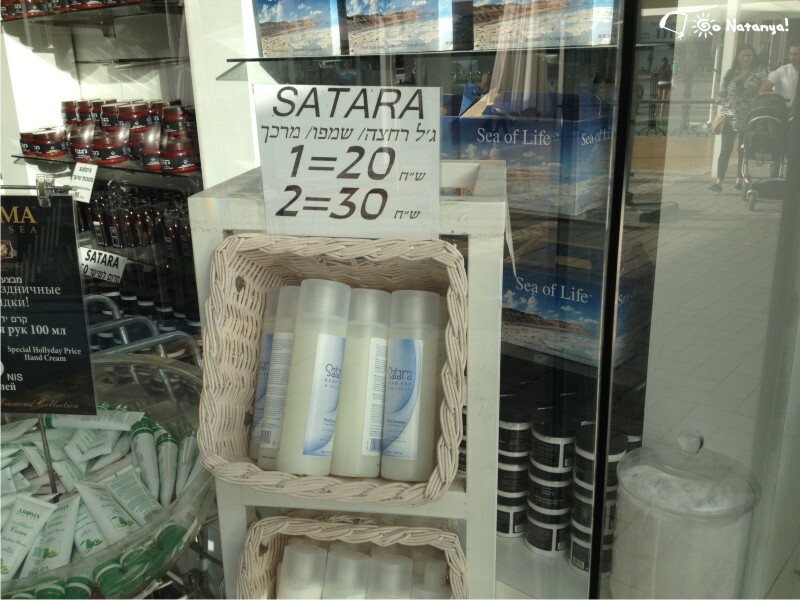 Do you know, that you can buy in Netanya cosmetics with minerals of the Dead Sea, much cheaper, than on the Dead Sea?! Secondly, there are many little shops in this part of the street. You can buy there almost everything, that you want: toys, souvenirs, magnets on a fridge, or clothes (t-shirts). There are a few shops, where you can buy cosmetics from the Dead Sea. And it will be cheaper, than in Ein-Gedi, a village near the Dead Sea, where it was made. 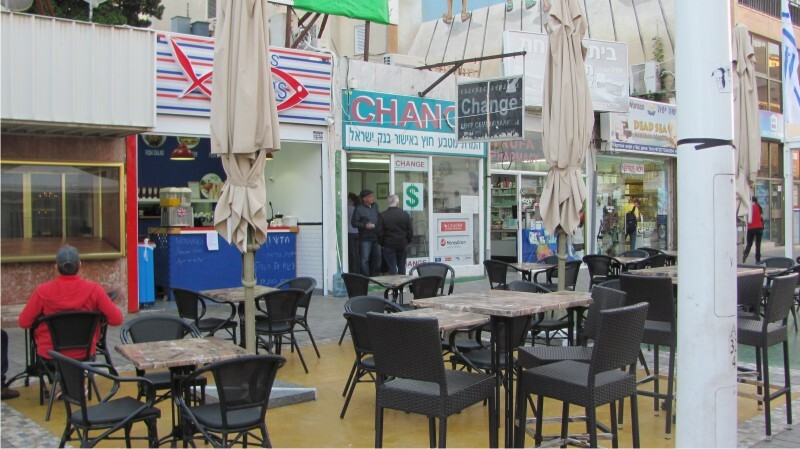 Thirdly, here is the best Netanya’s exchange office. The owner of this exchange, Shlomo, is the most honest man in this business, that we know. Fourthly, there are many little restaurants and cafes in this part of the city. You can test here the food from many cuisines of the world. Here we have Italian cuisine, or Morrocan cuisine, or… it will be much better, if you come, and see everything! All, that you will find, may be kosher, or non-kosher, as you wish. 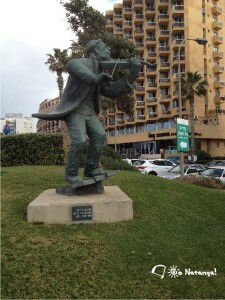 The way to the sea starts from the sculpture composition of four jewish musicians. The picture of them is in the top. These sculptures are very popular, and you can see, that everybody take a photo with them every minute. Many years ago this composition consisted only of three musicians, but now they are four. By the way, in the north part of seafront, we found the fifth one, but it is still alone there, and others are here. After them, you can see restaurants and cafes. People in Israel like to eat. Especially they like something, that we call “American fast-food”. That’s why many dishes here look like hamburgers or sandwiches. But in Israel, there is an interesting feature with food, jewish people don’t eat something, that not “kosher”. And because of this, many dishes have specific taste. But here you can buy, for example, non-kosher cheeseburger. You can say: “So what? Don’t you have McDonalds in Israel?” Stop-stop. Yes, we have McDonald’s, but you can’t buy cheeseburger in McDonald’s restaurant! That’s because cheese with meat is non-kosher food, and “McDonald’s” here is “kosher”. But here, on Hertsel street, you can buy cheeseburger without any problems! Not McDonald’s, but cheeseburger! Also, here you can buy something from “Israeli” cuisine, but… We must tell you, that there is not “Israeli” cuisine at all. All the dishes, that native people call “Israeli”, are borrowed. This is true for “falafel” and for “humus”. 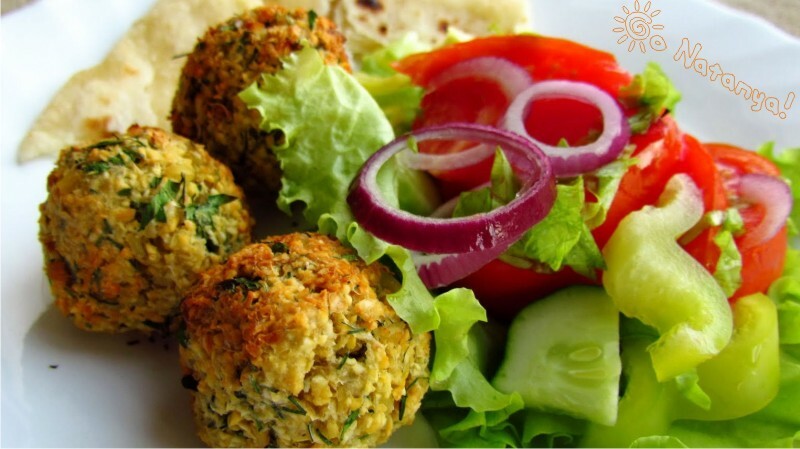 And they are quite tasty, especially if you prefer vegetarian dishes. After 50 meters (~200 ft) from musicians, you will see the first fountain. It’s a small fountain, but children like it very much. The reason of this love is in coins, that tourists throw in it. Children always gather these coins, and spend them for ice-cream in cafes not far from this fountain. If you go further, you’ll see two fountains more, but they will be on the Independence Square. Hertsel street starts here, and this is the end of this story. 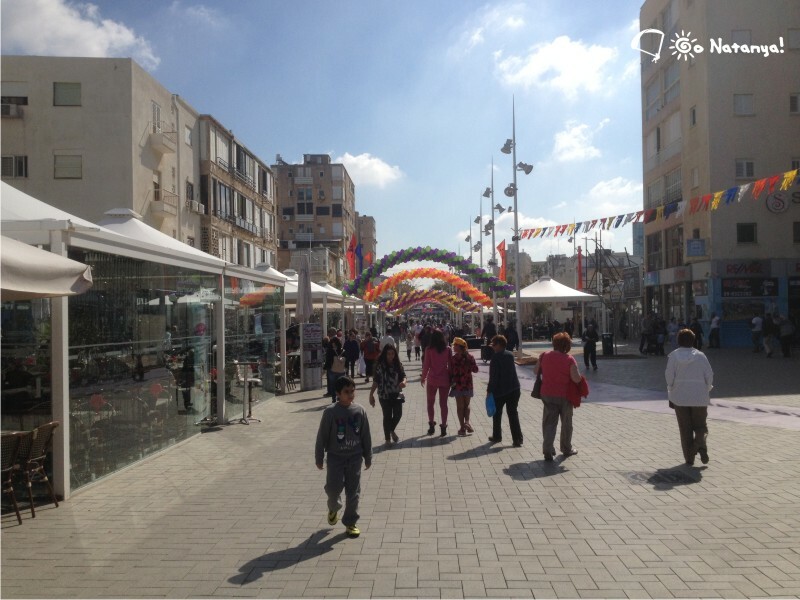 Kikar haAzmaut (Independence Square) is the other popular place, but we will tell you about it in our next article.